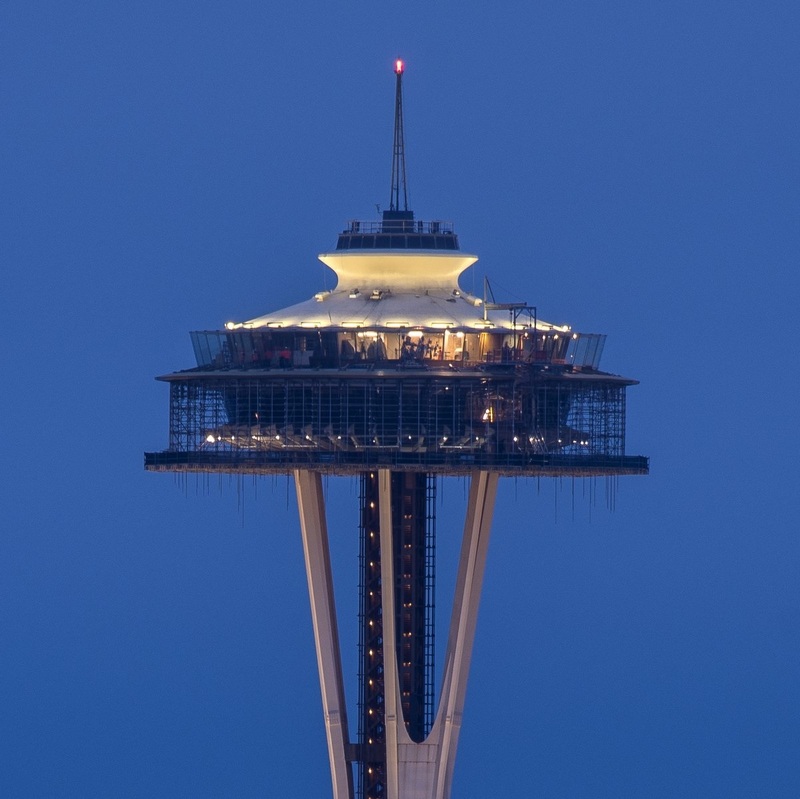 The temporary screen that was wrapping the Space Needle has been removed to reveal the first phase of the $100 million renovation that the Seattle icon is undergoing. The 20-foot tall screen, which was attached to a work platform suspended beneath the Needle’s top house, was installed in September to provide a weatherproof environment for workers. For months, exterior views of the 56-year-old structure have been less-than-futuristic. But the removal of the wrap — and in the coming weeks the scaffolding and plywood platform — will reveal some of the work that’s been happening, with a reimagining of the observation deck and rotating restaurant. Glass panels and a glass floor have been installed to open up views and change the visitor experience more than 500 feet above Seattle Center.